If there’s one known fact around Hollywood, it’s that there just aren’t enough superhero movies being made. Just kidding! There are only a thousand superhero films currently in the works. Out of all of them, there’s one that has us both intrigued and skeptical. Warner Brothers is looking to up the stakes with a Joker origin story film with Leonardo DiCaprio. And not only that, but listed among the producers for the Todd Phillips directed film — who also helmed the Hangover — is none other than The Wolf of Wall Street director, Martin Scorsese. If Scorsese has his way, DiCaprio will be the next actor to take on the role of Batman’s nemesis. On the chance that he does take the role, DiCaprio would be far from the first Academy Award winner (or nominee, for that matter) to join the film world of comics. His presence would also convey the message the Warner Brothers is looking to return superhero (and villain) films to Oscar contention, much like Christopher Nolan was able to do with The Dark Knight films. But it seems unlikely that DiCaprio will take the role, and according to The Hollywood Reporter Scorsese isn’t finished solidifying his deal as a producer. 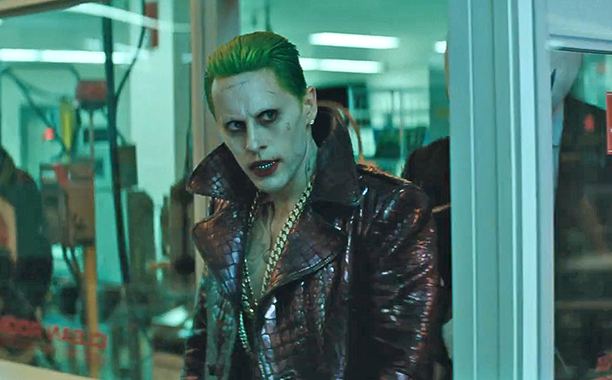 But if the pieces fall into place…we might get to live in a world with Leo as The Joker. Eyeing DiCaprio to play The Joker in an origin film is a curious move in and of itself, seeing how Jared Leto, who played The Joker in Suicide Squad, is already attached to a spin-off film following The Joker and Harley Quinn (Margot Robbie), as well as a Suicide Squad sequel. For those struggling to keep up: Three different Joker movies, with two different Jokers. But it seems Warner Brothers doesn’t think having two Jokers will be super complicated, as the Joker origin story will be outside the DC Extended Universe. Sure. While it will certainly be interesting to see if DiCaprio and Scorsese do end up boarding the project, it’s safe to say that DC will remain as drama-heavy possible.